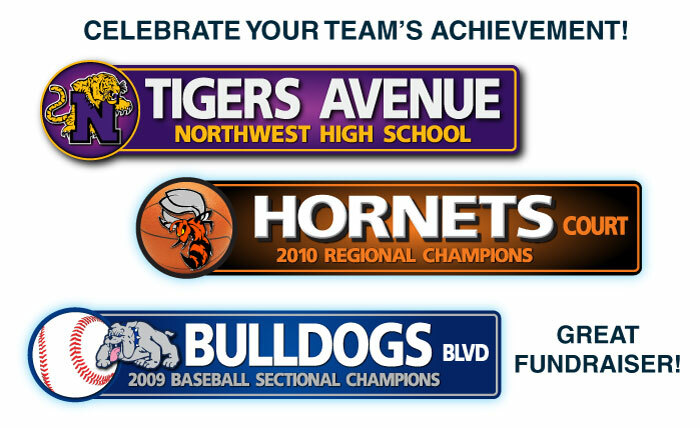 These Street Signs are a great way to show off your school pride or to sell in your bookstore. These signs are made from 1/4″ thick PVC hard material with unlimited design and colors. Custom sizes available. Contact us for Quote!